I thought this would be a good colour and polish to celebrate July 4th, Independence Day in the USA today. This is obviously a polish that was released during last years Election time (2012), so not available to buy unless someone is selling them (like this one! ), but i thought it would be a great polish to show off red, white and blue! 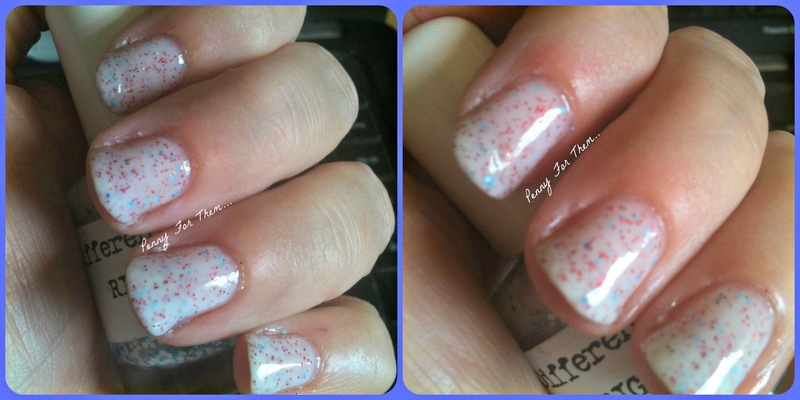 Right to Vote is a gorgeous white base with a slight pink shimmer. It has tiny pieces of white, red, and blue glitters, that catch the light really prettily. 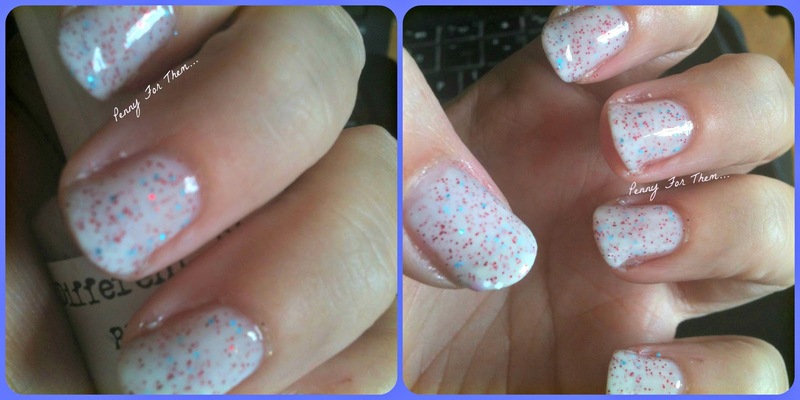 I used 3 medium thick coats of the polish which made it completely opaque, despite the light base. I used Nails Inc Hyde Park Basecoat as a base, and as a topcoat used the Gelous topcoat which gave the nails a great glossy look! i do love Different Dimensions polishes. 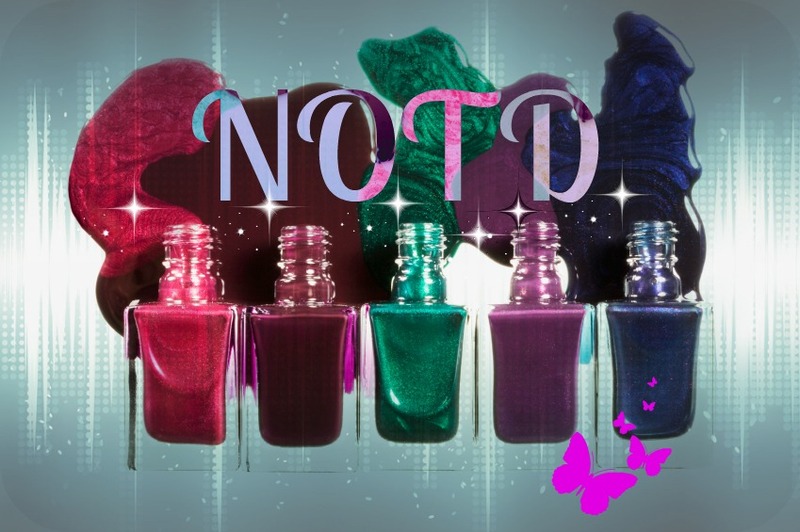 They're easy to apply, a great consistency, hardy polishes with brilliant combinations in their polishes and fun to wear! Check them out in their Etsy store to treat yourself! Until the 7th July 2013 they also have a 15% discount to celebrate 5000 likes on their Facebook page if you add the code "5000LIKES" at the cart before checkout! BE QUICK! I love the different coloured glitters.